DALLAS, Sept. 19, 2017 — Regional Hospital of Scranton in Scranton, Pa., is the first hospital in the country to receive the Cardiovascular Center of Excellence accreditation, according to the American Heart Association (AHA), the world’s leading voluntary health organization devoted to fighting cardiovascular disease and stroke. The Cardiovascular Center of Excellence is a new accreditation awarded from the American Heart Association in collaboration with the American College of Cardiology (ACC). It recognizes hospitals committed to following proven treatment guidelines incorporated into a comprehensive system of care to fully address the care needs of patients with complex cardiac conditions. Formally accredited centers must commit to building a systems of care approach in offering a broad scope of cardiovascular care services that range from prevention strategies to full continuity of care through rehabilitation and recovery after a cardiac event. Community education and support is a key focus for accredited hospitals. 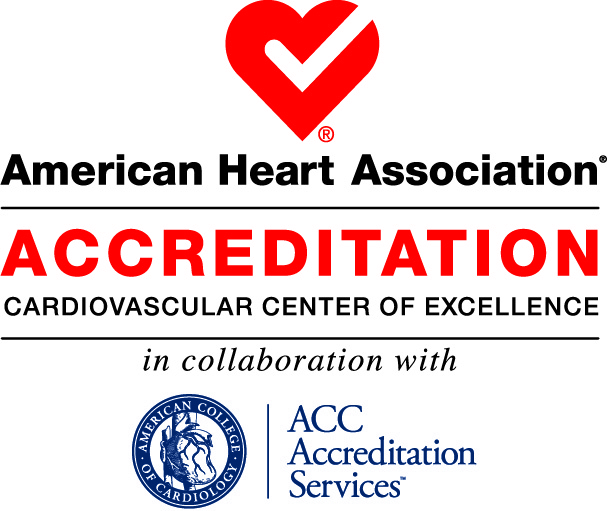 Referred to as a “capstone,” the AHA’s Cardiovascular Center of Excellence accreditation is available only to hospitals that have achieved at least three of the ACC’s “cornerstone” accreditations in chest pain, atrial fibrillation, heart failure or cardiac catheterization and meet the criteria established by the AHA that focuses on areas across disease-states throughout the cardiovascular service line. . Regional Hospital of Scranton met the accreditation criteria through a rigorous evaluation of the facility’s multidisciplinary teams and processes in compliance with systems of care coordination and national guidelines. Staff displayed commitment to work with all levels of their community to emphasize cardiovascular disease prevention, early recognition and treatment and rehabilitation for an improved quality of life. Cardiovascular disease accounts for one out of every three deaths in the United States. An estimated 2,200 Americans die of cardiovascular disease daily, an average of one death every 40 seconds. Having accredited hospitals and care facilities equipped to collaborate with their communities to provide strong prevention, treatment and recovery programs for the complicated needs of patients with life-threatening heart conditions is key to improving quality-of-life and survival for all patients of all backgrounds. More hospitals are applying to receive the Cardiovascular Center of Excellence accreditation, which demonstrates to current and future patients that their cardiac care services have met rigorous standards. To learn more about Cardiovascular Center of Excellence accreditation, visit heart.org/cardiacaccreditation. To find other AHA/ASA accredited and recognized hospitals near you, visit heart.org/qualitymap.